It’s now easier for you to manage client deposits, and for your customers to view receipts. We’ve improved the way you manage deposits. When creating or editing a quote, you can apply any deposit you collect from your client. You can also apply multiple deposits if you receive separate payments. Once it’s time to get paid and create an invoice, deposits already applied to the quote will carry through to the invoice. The remaining balance will automatically update on the invoice. Previously, you could only attach a deposit payment to a quote. We’ve now improved this step by allowing you to attach a deposit to an invoice as well. When creating an invoice, you can easily manage deposits before sending the invoice to your client. This area will allow you to add new deposits, remove existing deposits, and see the date that each deposit was applied. Before you hit send on an invoice you can click on a deposit to review its details. These details include the amount, date, method of payment, and any additional notes. We’ve also made it easier for your clients to view their receipts. 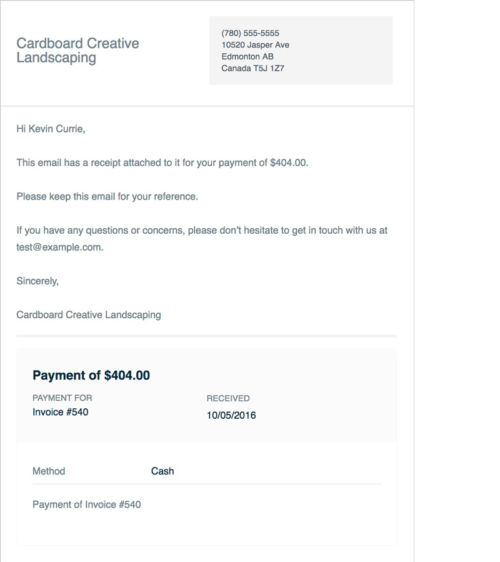 In addition to PDF attachments, your clients can now view the receipt right in the body of their confirmation email.